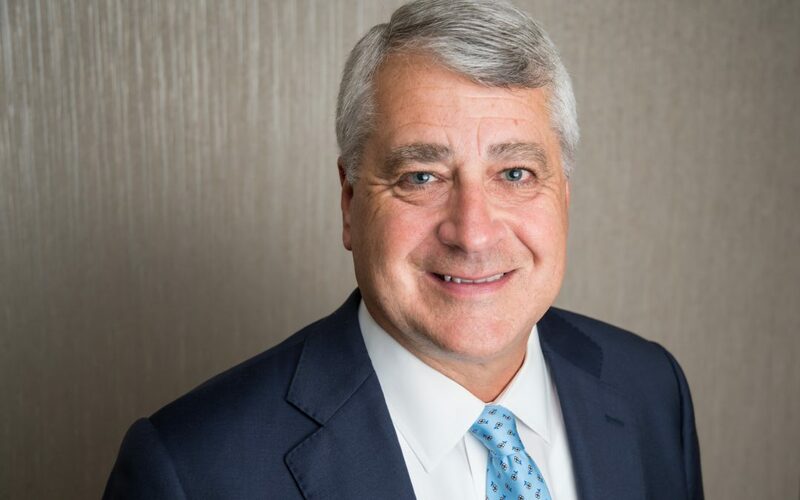 Robert (Bob) E. Alger, P.E., president and CEO of Cheshire, Connecticut-based The Lane Construction Corporation, was elected 2018-2019 ARTBA chairman Oct. 1 at the association’s national convention in New York City. Alger’s roster of ARTBA volunteer leadership positions includes: senior vice chairman, first vice chairman, Contractors Division president, Contractors Division first vice president, ARTBA Foundation trustee, and Trans 2020: “MAP-21 Policy Promotion, Implementation & Funding Enhancement Task Force” co-chair. His leadership roles extend to other industry groups; as a founding member of the Construction Industry Ethics and Compliance Initiative (CIECI) and Construction Industry Safety Initiative (CISI) group, which promotes Safety Week annually across the country; a past president of The Moles, The Beavers, and American Society of Civil Engineers (ASCE) Construction Institute; and a past chairman of the Construction Industry Roundtable. Alger’s agenda as chair includes a laser-focus on the association’s core mission of transportation market development by working to achieve three main goals: a permanent revenue solution for the Highway Trust Fund; passage of a new infrastructure investment package that includes significant investments in the National Highway Freight Network; and laying the groundwork for the scheduled 2020 reauthorization of the FAST Act highway and transit investment law. The continued growth of the American National Standards Institute (ANSI)-accredited Safety Certification for Transportation Project Professionals™ (SCTPP) program, is another priority. The SCTPP was launched by industry executives and safety leaders in fall 2016.